Marion McLean, 87 passed away at the home of her son Mark on Friday, October 20, 2017. She was a mother of two and a grandmother of five. She was a licensed counselor with a master's degree and was a doctoral candidate. She was also an award-winning poet as well as a global citizen and world traveler. Marion was born in Dayton, Ohio. She had an older sister, Anna Mae and a younger brother Roland. She graduated at the top of her class at Roosevelt High School. 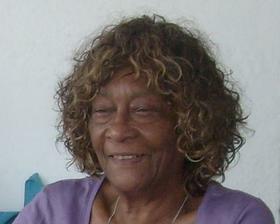 She attended and was graduated from Hampton Institute on June 2, 1952 with a Bachelor of Science in Business Education. It was at Hampton that she met her future husband James (Jim) McLean. They married in 1953 and began their globetrotting life shortly after. Jim was career military in the US Air Force and Marion followed him through a series of bases across the United States and beyond. Jim was a Chief Master Sergeant and worked in maintenance and communications. Marion worked in Civil Service, first in office positions and then as a clinical director of an outpatient substance abuse program for the US Army. While working and raising a family, she pursued and obtained her Master's Degree and became a Licensed Professional Counselor. Long after many people retire, she became a doctoral candidate and completed her coursework online through North Central University, on her way to ‘ABD’, all but dissertation. Marion and Jim started out in California where their first son, Stephen Howard was born. They were next stationed in Little Rock, Arkansas where their second son, Mark Wesley was born. They then left the US and were stationed in Torrejon, Spain where the boys experienced culture immersion before it was popular. The next stop was Sault Saint Marie, Michigan at Kincheloe AFB- a big culture and weather change from Spain. From Michigan, it was on to Beale Air Force Base in Northern California, near Sacramento. This is where Steve completed high school. To make the next move involved a cross country trip from California to New York with a stop in Dayton along the way. From New York the family left for a station at RAF Woodbridge near Ipswitch, England. Mark attended high school in England, finishing what he had started in California. From England it was back to Michigan and Wurtsmith AFB in Oscoda, Michigan. Jim completed his career in the military there, but Marion continued to work Civil Service and they made the move back to Europe where Marion worked at Aviano AFB in north eastern Italy and then at a number of different bases in Germany including Mainz Kastel, Duesseldorf and Frankfurt Rhein Main. Jim passed away in 1993 while they were living in Germany, after a twenty six year career in the military. Marion continued to work in Germany for another few years and then became the clinical director at Fort Riley in Kansas. She was the director there for 15 years, before finally retiring in 2015 at the age of 85. At her retirement she had 59 ½ years of service for the US government. Marion is survived by her sons Stephen (Chris Talsma) McLean and Mark (Deb) McLean. She has five grandchildren, Olivia, Stephen and Grace McLean; Blake and Heath McLean. Memorial services will be held at 3 pm, Saturday (October 28), at the Dykstra Funeral Home-Northwood Chapel, 295 Douglas Ave.